If you are thinking of a vacation in Chalkidiki this summer, wait no more. Chalkidiki has so many diverse aspects that it provides everyone with a magical experience to enjoy. Whether you are a looking for a cosmopolitan atmosphere, or prefer a more quiet vacation or maybe you are looking for an extreme sport-filled vacation, Chalkidiki is the right place to be! Let’s have a look at top the eight reasons why one should visit Chalkidiki this summer. The beaches in Chalkidiki have the reputation of being some of the best in Greece. There are 71 blue-flagged beaches in over 550km of coastline. Endless miles of sandy beach with wonderful views, little “eye-hidden” heavenly bays of shimmering turquoise waters are some of the delights it can offer when you visit Chalkidiki. There is no doubt you will find a beach to fall in love with! If you need to escape from the hustle and bustle, opt to visit a traditional village and discover its culture and living traditions carried from generation to generation, the local culinary legacy and the life of its people. A visit to the picturesque seaside village of Afytos is a must. It is built on a hill and offers a breathtaking view of the Aegean Sea, while you taste traditional Greek delicacies. For those who prefer an escape from the city lights and away from any human contact, Chalkidiki is an ideal destination all year round. Actually, because of its temperate weather and the mountains covered in dense pine forests, it has long been a magnet for hikers. The region includes several trails and with its several peaks, including Mount Holomontas and Mount Itamos you will have plenty of choice when it comes to climbing. 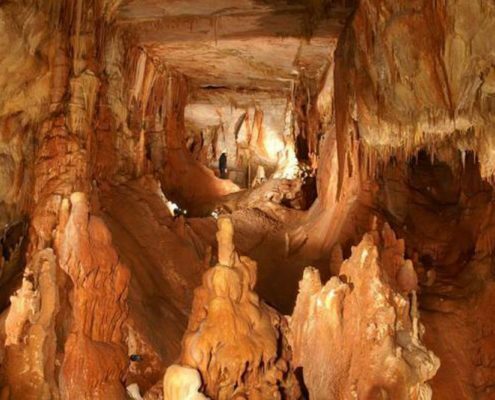 The Petralona Cave is located in the western part of Mount Katsika. This place was discovered in 1965, when archaeologists found/unearthed the remains of the skeleton of a young woman, considered to be 700,000 years old, making her the “oldest” European human! The cave is filled with stalagmites and stalactites and combined with the red stones, they compose an imposing environment. The most stunning beaches in the Mediterranean Sea can only be reached by boat, and Chalkidiki couldn’t be an exception. The exploration of Diaporos Island is a must-do experience and if you rent a boat in Chalkidiki from Dream Swim, you can immerse yourself in the unspoiled paradise of Greece. Riding one of our boats, you have the chance to admire the little privy heavenly bays of sparkling waters in the surrounding islands. Besides being a destination for the nature lovers, Chalkidiki is equally appealing to food and music lovers. The Sani Gourmet Food Festival takes place every June, and from July to August there is the Sani Music Festival. Furthermore, the Kassandra Festival, which takes place in an amphitheatre just outside Siviri, has a program combining music, theatre and comedy. And for Greek music lovers, the Polygyros festival is held throughout August with music artists and bands from Greece. Mount Athos or Agiο Oros (as the locals call it) is situated in the third peninsula of Chalkidiki. 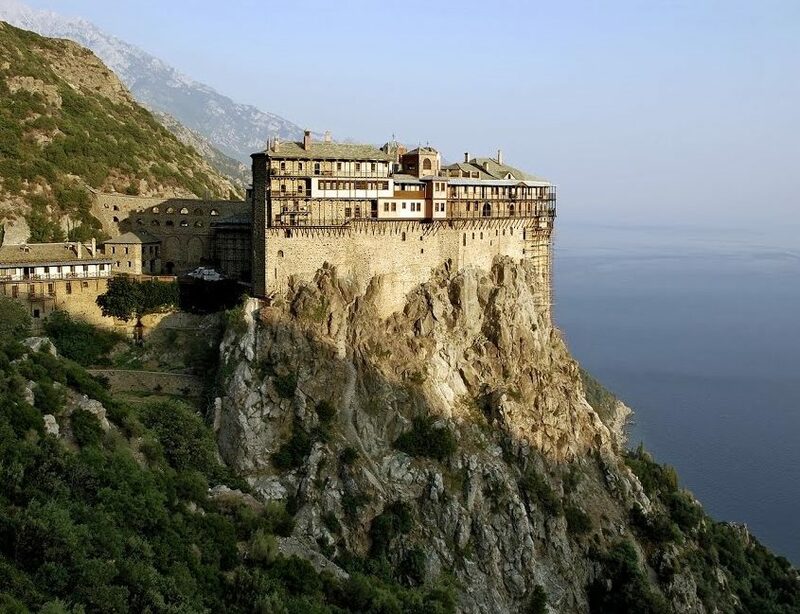 It is the oldest surviving monastic community in the world, and it is regarded as one of the most important hubs of the Orthodox Christian world. By tradition, this place cannot be visited by everyone. Only male visitors with a special permit are allowed to enter the Holy Mountain peninsula. But don’t lose faith; you can still admire Mount Athos from a distance if you join a boat trip with Dream Swim along the coastline. Do not miss out on a chance to take photos of the rare architectural beauty of more than 20 Christian Orthodox monasteries. Last but not least, Chalkidiki can be easily reached from Thessaloniki, the second biggest city of Greece, within the hour. It is about 75 kilometres away from the city, so it is really easy and fast to reach it by car. The roads are quite good and you will enjoy your road trip.